Awww, he wants to make friends :) Too adorable! That is soo cute, I miss having bunnies! Ah the world needs more nice things like that! 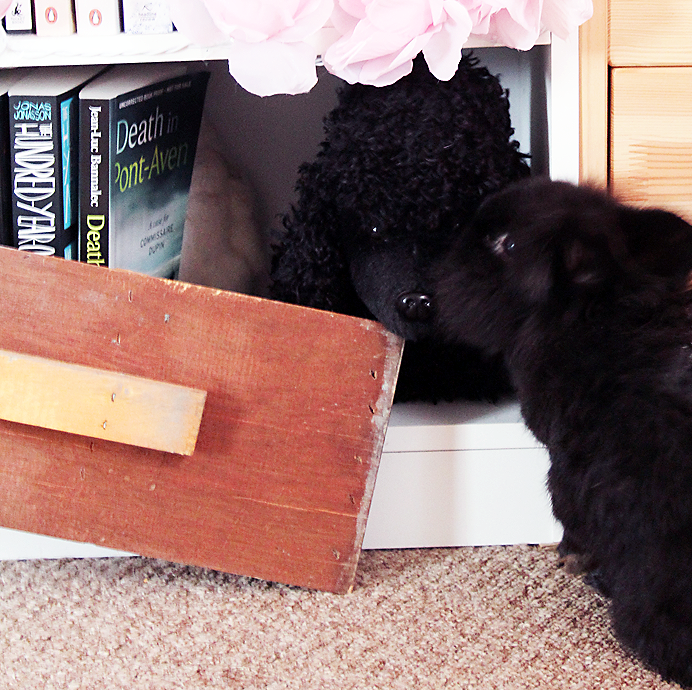 Aw Ralphie is so cute, that poodle is lucky to get bunny kisses! hahah aww this literally made me giggle. what a little personality! Ralphie seems so sweet :) My bunny loves to give bunny kisses too! So adorable. I love to see your beautiful pictures. That is beyond adorable! Great photo! This had me absolutely squee-ing with how cute Ralphie is, I'm going to beg/convince my mum to let us get a bunny rabbit now, bless his little heart!